updated their name, they have had a facelift and upgraded their menu too. Think melting off the bone ribs, juicy beef burgers and sundaes with all the trimmings. This diner serves American style food with an Australian twist. 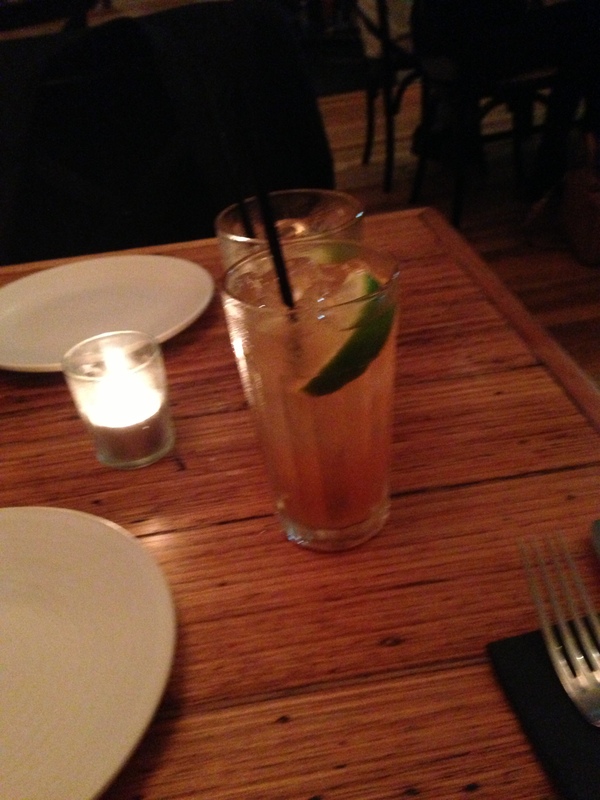 This was my second visit to Joe's for dinner. I visited there a few months ago and loved their food so much, I just had to return. I learnt one thing on my first visit. 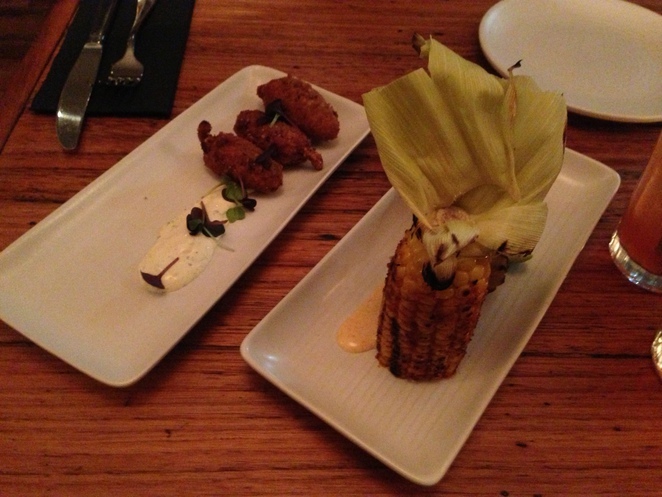 Joe's have so many different small plates to try, share them and you can sample more. That's exactly what my partner and I decided to do. Joe's Bar and Diner can be described as an inviting diner. Both romantic and family friendly in ambiance. The diner's lighting was dimmed and there was a candle on each table. This set the intimate, romantic feeling for the tables for two. There was also larger tables available, which were better suited for families or group bookings. One thing I love about Joe's is that the last two times I visited there, the place was not packed or noisy. I absolutely hate visiting a restaurant or diner that is crammed full of patrons and you can't hear the person sitting beside you. Jalapeno poppers, with cream cheese, confit garlic, rye crumb and remoulade. These poppers were delicious. For anyone who has tried McDonalds chilli cheese poppers, think of them but a hundred times tastier. I experienced creamy, spicy and crispy all in one bite. Chargrilled corn on the cob, with smoked paprika, spiced mayo and Wisconsin cheddar. This dish was really salty, however, the paprika and spiced mayo balanced this out. I guess the saltiness could be explained by the cheese. I have never had a piece of corn so tasty. 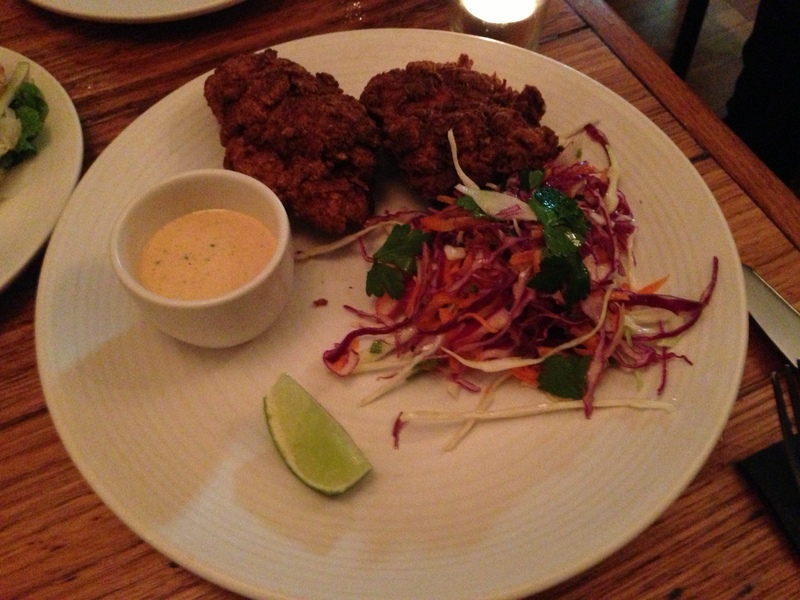 JFC Southern style fried chicken with chipotle mayo and jalapeno slaw. According to multiple reviews I have read, Joe's is most famous for this item. This southern style fried chicken is Joe's spin on KFC. This chicken is to die for. It's so flavoursome, juicy and crispy. The jalapeno slaw was a little bit of a surprise. I was expecting this slaw to be spicy, but it wasn't. Crispy soft shell crab served with a fennel, apple, lime, watercress salad and chipotle sauce. The crab was a little bit of a let down compared to the other items I tried. 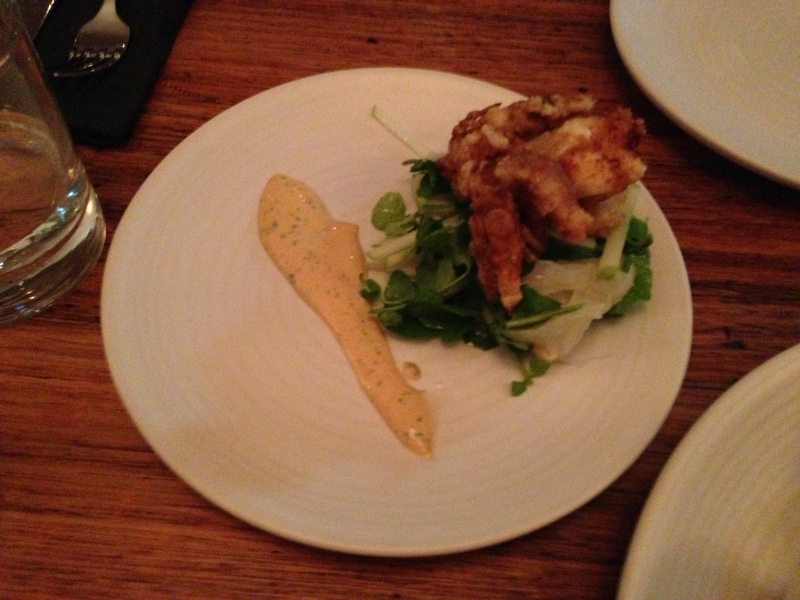 I am a big fan of crispy soft shell crab, however I felt the serving was a little small and the crab was a little bland. 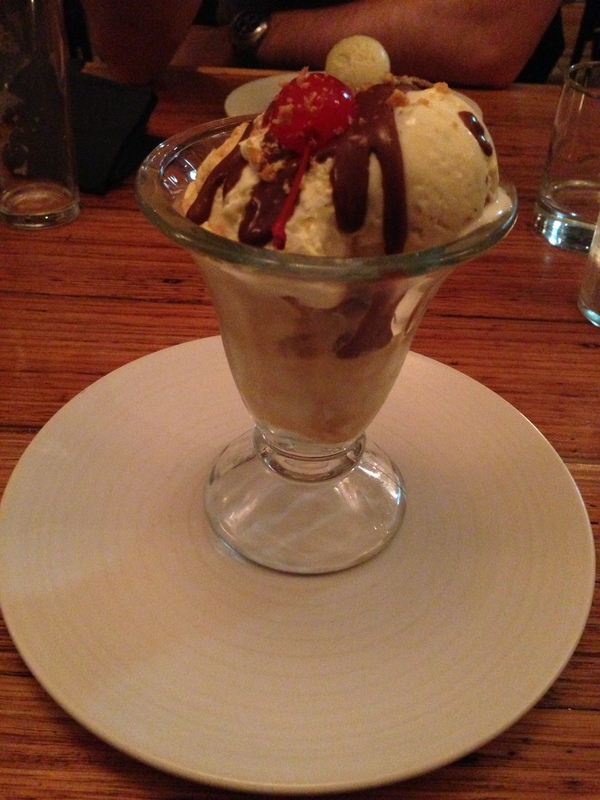 Joe's sundae with homemade honeycomb ice cream, whipped cream, crushed nuts, melted chocolate and a cherry on top. I couldn't compare this sundae to a sundae from San Churro or Max Brenner. It was really good, but it was missing something. 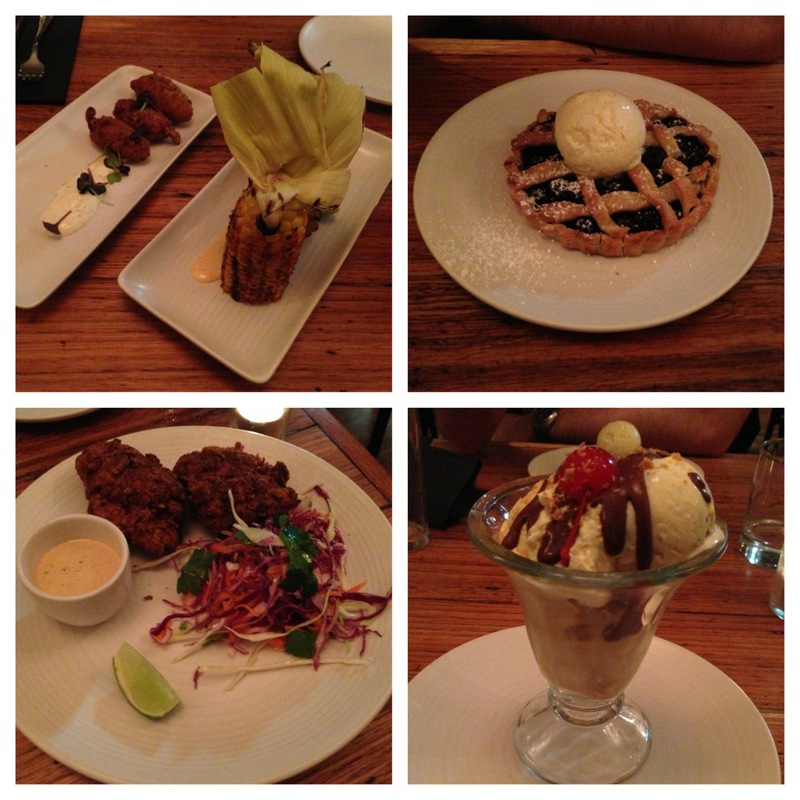 One thing that could be compared to other dessert places was the ice cream. The honeycomb ice cream had an incredible honeycomb flavour, with honeycomb sauce and pieces throughout. 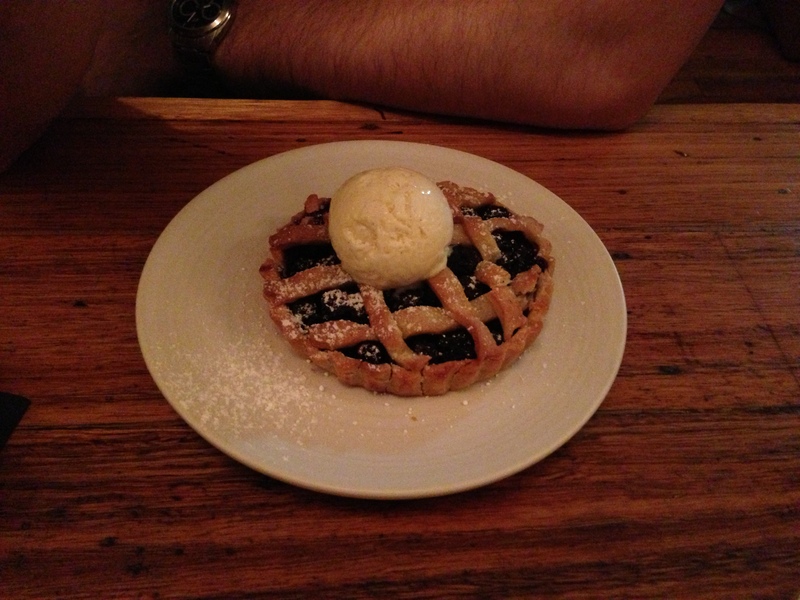 Blueberry pie, served with bourbon ice cream. My partner ordered this item for himself. I did try a little bit of it. It's hard for me to judge the blueberry pie, because I am not really a fan of pies. However, the crust was light and buttery, and the blueberries were sweet and tart at the same time. The last time I was there it was before winter. I noticed that the menu had been changed. Some items had disappeared, others had been altered and some replaced with more delicious snacks. I am looking forward to visiting Joe's again and sampling their next season's menu.